When I was a kid, Santa always left me a box of See’s Candy Almond Clusters in my stocking. Santa has always been so good to me! 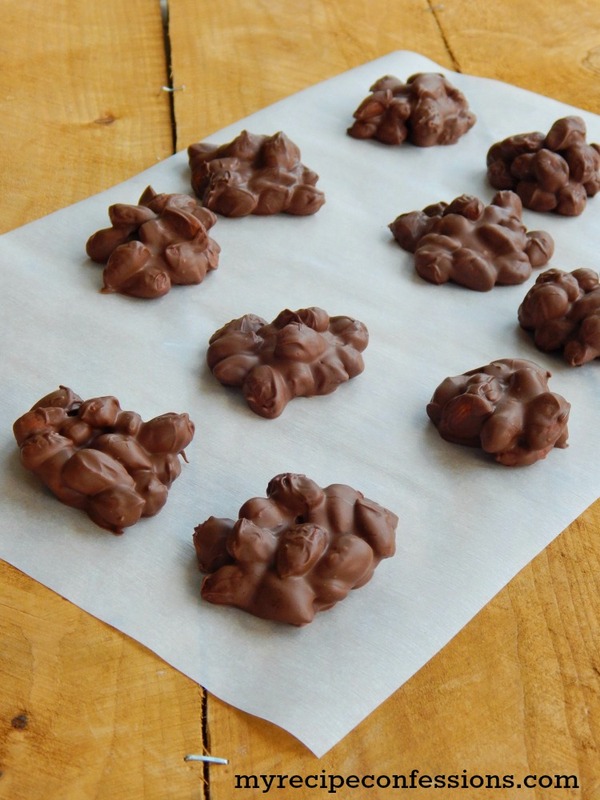 These candies are probably one of the easiest things you’ll ever make. There are only two ingredients. You can make them in under 10 minutes. If you prefer dark chocolate, you can switch the milk chocolate out for dark chocolate. 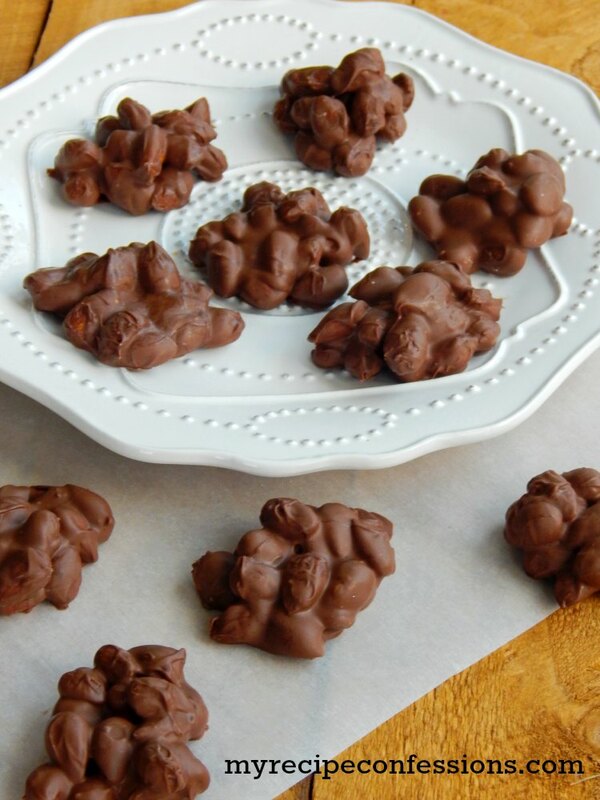 If you like peanut clusters, you can use this same recipe by simply switching out the almonds for unsalted roasted peanuts. 1. Place the milk chocolate in a medium-sized microwave safe bowl. Microwave it for 30 second intervals stirring in between each interval until chocolate is melted. 2. 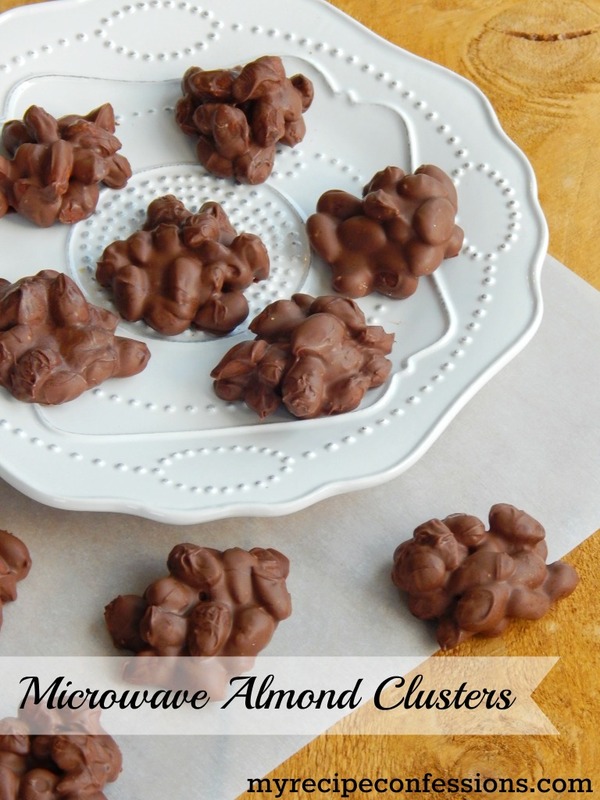 Once the milk chocolate is smooth and completely melted, stir in the almonds. Drop a tablespoon full of the chocolate almond mixture onto a baking sheet that is lined with wax paper and repeat with remaining mixture. Allow to cool completely.